Pre-assembled posts vertically slotted for cedar infill. 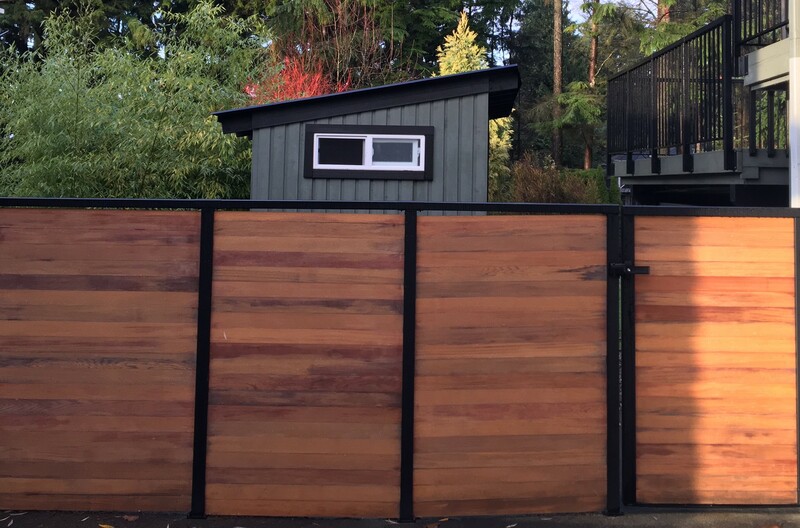 Premium fence panel system adds a beautiful design and privacy! Premium powder-coating and contemporary styling. Posts: Pre-assembled and sleeved posts with vertical slot and glasketing. Top rail connector sleeve removable to allow cedar infill to be added. Cedar Infill: Warmth and beauty of western red cedar. 4ft “tongue & groove western red cedar slats (22 per pack). Quick and easy!Simple to assemble…set posts, trim infill slats, slide in cedar infill, slide in top sleeve connectors with rail. NOTE: Gates, heavy duty spring loaded hinges and magnetic latches are also available.